g33ksauce « Your 'sauce' for geek news, reviews, and more! Earlier this week many fans of one of Japan’s most famous anime samurai rejoiced as news of Kenshin’s return to the screen hit the internet. If you are not aware of Rurouni Kenshin the series, which covers 2 ova’s, 66 episodes, and 28 volumes of manga, it’s a story surrounding a rogue samurai named Kenshin who was once known as the feared Battousai aka man slayer. Ten years after the war when he earned his fame, Kenshin has since vowed to never shed blood with his sword again. Instead he finds himself helping those less fortunate especially against others who, unlike himself, haven’t been able to put the past behind him. Samurai X, as it’s known in the U.S., was the first OVA story that covered Kenshin’s as a young slayer in the war. Watching Samurai X was one of the first experiences I had in my path down to anime fandom, and it’s still easily one of my favorite anime features still. Following that I watched most of the anime, and most recently I have begun to read the manga which is equally enjoyable and conventiently prices thanks to VIZ BIG. 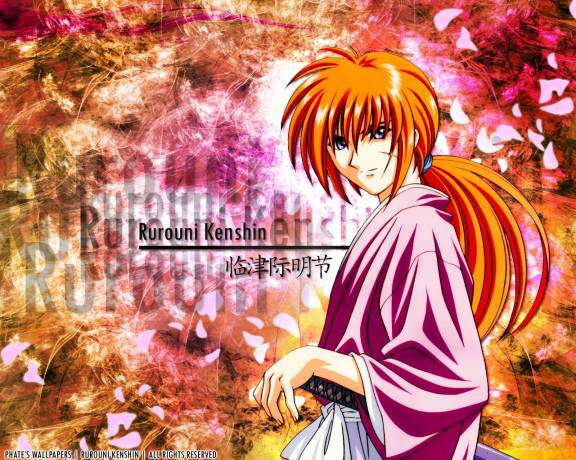 While the Anime News Network article covering the news about Kenshin’s return doesn’t have much information, I, myself, and many other fans are surely quite excited about the return of Kenshin. Perhaps this will begin a rebirth of fandom for one of the most famous 90s anime to be released in the US? Remember back when Funimation announced it’s plans to sue 1,337 BitTorrent users who shared an epsiode of One Piece? Then remember when they suddenly announced their plans to drop the suit? Well apparently Funimation may have dropped the lawsuit, but not after serving a select few, 49 people precisely, with subpeaonas. Funimation did this without the knowledge of who these pirates actually were, but with the cooperation of major cable companies IP information was able to be matched with names and faces. Several of these individuals, according to the Anime News Network report, have settle out of court. Currently it is unknown whether Funimation will cast the net wider than the 49 pirates currently being punished; however, seeing as how this is one of the first American attempts at fighting back against digital pirates I think the message sent is almost stronger than the punishment requested. 3. AKB48: Coming To A Town Near You!!! Perhaps in an attempt to prove to Korea that Japan can still manufacture idol groups like it’s nobody’s business AKB48 producer announces the formation of a new group “HKT48”. From what I can tell there will be little noticeable difference between the two idol groups except for their location. AKB48 is based out of Akihabara, hence the AKB. HTK48 is to be based in the city of Fukuoka. I suppose this means AKB48 is one step closer to starting a 48 group near me. Seriously though it’s interesting that they’re creating essentially another full group, but I suppose when something’s successful it’s natural that it’d be replicated. This comic, much like the burger, is quite cheesy and layered with delciousness. Gotta collect them all! No matter the pain. He who dies with the most achievements wins.